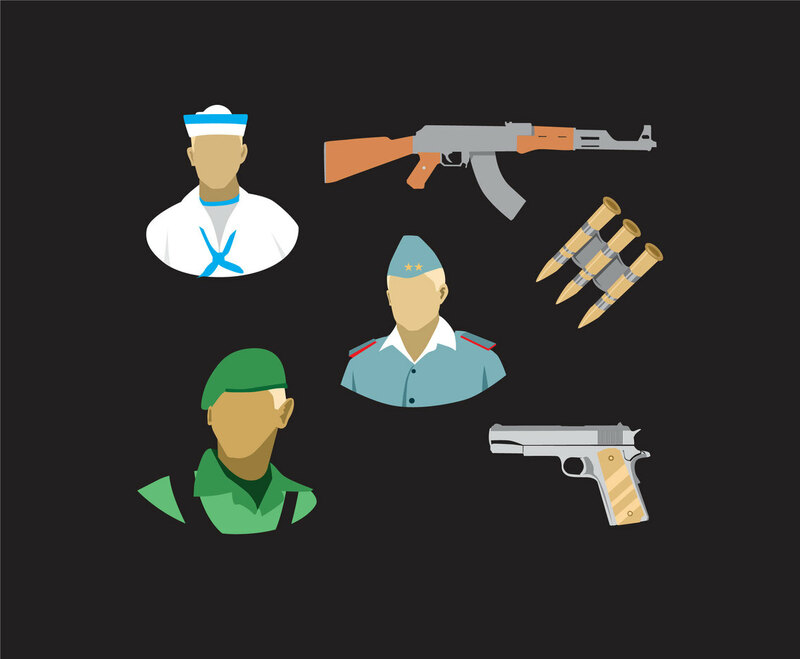 Here is a set of vector illustration that features several army avatars such as soldier, mariner and sailor also a set of weaponry. You can include this to design anything related to army theme either for web or print. The set is free and easy to edit.